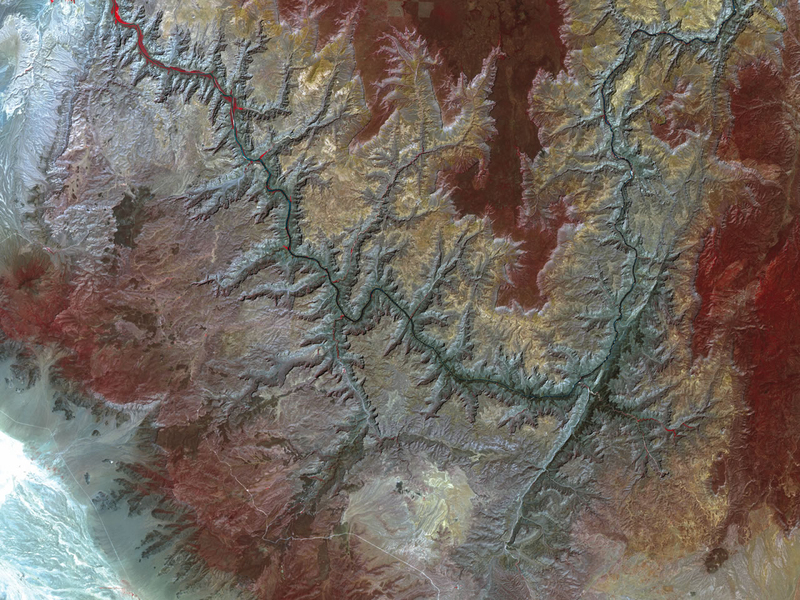 The Colorado River is a thin ribbon of blue water tracing though the multi-colored rocks of the spectacular Grand Canyon in this false-color satellite image from India’s Resourcesat-1 satellite, collected on June 19, 2004. The steep walls of the canyon appear in shades of gray, sage, tan, and pale yellow, while the flat tops of the surrounding plateaus are covered in vegetation, which appears red in the scene. In the small feeder canyons, occasional pockets of bright red, very lush vegetation appear. 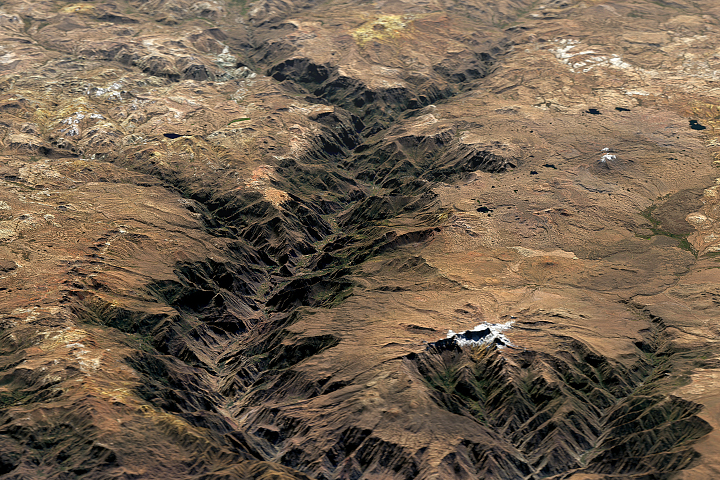 This image shows a western portion of the Grand Canyon, near the western Arizona state line. 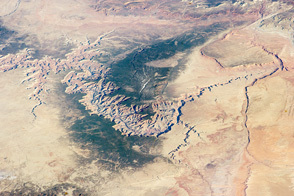 The river’s flow is from upper right to upper left, making a deep “U” near the center of the image; the “U” is part of a stretch of the Grand Canyon known as the Lower Granite Gorge. At the base of this “U” a wide gash in the rock is the Peach Springs Canyon. North of the “U,” the land is part of the Grand Canyon-Parashant National Monument, while south of the “U,” lies the Hualapai Indian Reservation. 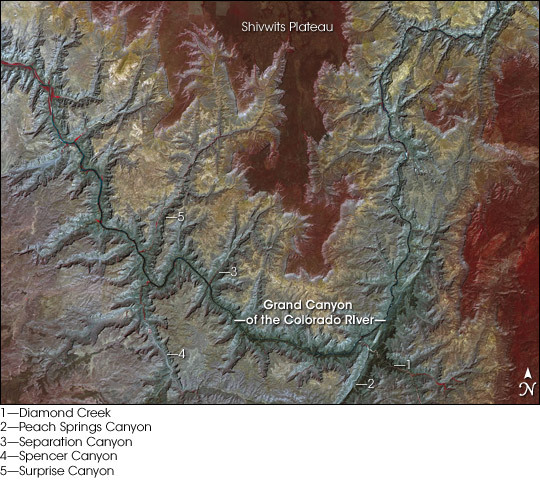 Several of the larger side canyons are numbered, and their names are provided below the image: Diamond Creek, Peach Springs Canyon, Separation Canyon, Spencer Canyon, and Surprise Canyon.